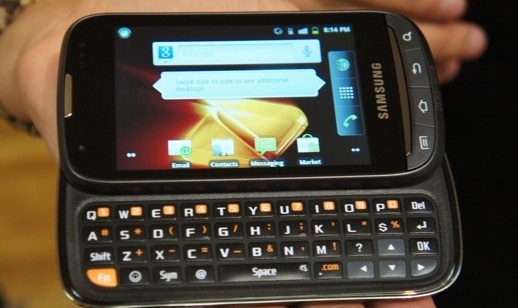 A new QWERTY slider phone from Samsung is coming to Boost mobile this October. The Samsung Transform Ultra is a mid range phone that will set you backÂ $229.99. Might be one to look out for if you're on this network and ready to grab yourself a new phone? Samsung Transform Ultra will be available Oct. 7 for $229.99 (excluding taxes) at Boost Mobileâ€™s exclusive retail stores, select independent wireless dealer locations across the country and at www.boostmobile.com with free shipping. The Transform will be rolling out in select retails nationwide later this year. Android Monthly Unlimited with Shrinkage Offer Coming Oct. 6 Effective Oct. 6, Boost Mobile will add an additional $5 monthly charge for unlimited data and messaging services offered on Android-powered devices. Like the existing Monthly Unlimited plan, the new Android plan includes unlimited nationwide talk, text, Web, email and calls to 411. In addition, the new Android Monthly Unlimited plan will still come with shrinking payments where the longer you stay, the less you pay. For every six on-time payments, the cost of a new customerâ€™s Android Monthly Unlimited plan will shrink by $5, eventually getting down to as low as $40 a month, only $5 more than the current Monthly Unlimited with Shrinkage. Payments do not need to be consecutive to qualify for the next savings milestone. For our current Monthly Unlimited customers, we hear you! Existing $50 Monthly Unlimited customers with Android devices as of Oct. 6 can keep their current price plan as long as they donâ€™t let their account expire. Existing Monthly Unlimited customers upgrading to a CDMA Android-powered device on or after Oct. 6, will add a $5 monthly charge on their current monthly payment without losing any of their accrued Shrinkage savings.